This fang banger knife does double duty with two fast-access folding blades. The built-in blade spurs allow you to access the blades fast, and the design of the handle allows you to wield this knife like a double-blade karambit. 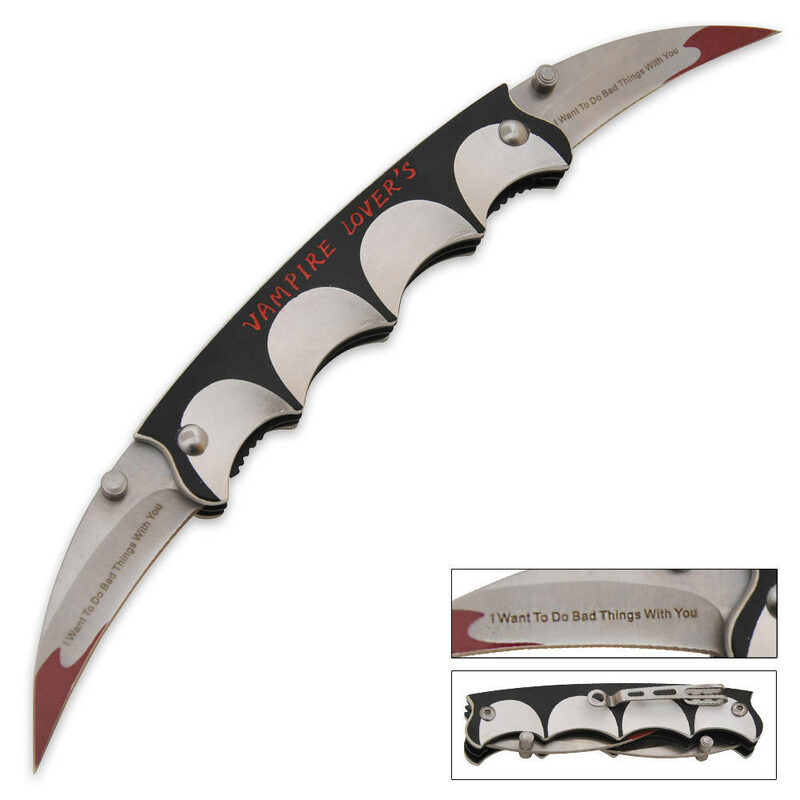 Each blade is etched with the words "I want to do bad things to you," a nod to the popular HBO vampire series. There's even a splash of blood on the tips of the knife blades. Clip it to your pocket with the pocket clip. 10" overall size when open.